Here is my disclaimer. I am not a Dr or a nutritionist. I am a nurse and a maternity nurse at that so I have no credentials nutrition-wise whatsoever. Know this now. That being said, I have been doing low carb for a good long while. Also, i am obsessive--I have covered this, I think. Think I am lying? Check this out, baby. I have done so much research, message board lurking/posting, cookbook buying and cooking that it is more nuts than I am willing to fully let you in on. I have made things out of pork rinds that I am not even going to mention lest you know I am certifiably crazy (pork rinds are carb free). So, my plan is this. I am going to tell you what I do---you can do whatever floats YOUR boat. I will show you the things I think are essential to doing this for the long haul, at least at my house. I think it is a very healthy way to eat and I think it is not a diet but a way to eat healthy for life. I rarely ever make up my own recipes and if I do they are very trial and error and exceedingly simple. 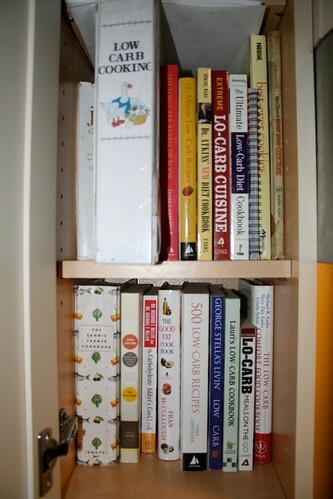 I am a cookbook reader, not a cookbook writer. Every recipe I post on here is taken from somewhere else, unless I specifically say otherwise. I will try to give sources if I have them, but if I dont, just know I love you whoever you are. Okay, blah, blah, blah....here we go. I am an Atkins advocate. His book is an easy read and makes this plan extremely clear. I really encourage you to read it--it is very cheap and readily available pretty much everywhere. The basics are here. Even if you just skim it, it is a valuable if not essential reference. Anyone who knows me knows I always have a book reference. 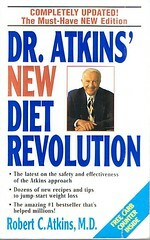 The reason I have always done Atkins is that it is the simplest. 20 carbs per day. The end. No calculation of protein grams, points (dont get me started on points) ,measuring portions or any of that whoo-ha. That is just too fiddly for me. Just a target of 20 carbs. Some people (not me) can go as high as 40-50 per day and still drop weight. Good luck with that. Other low carb plans are Protien Power, Sugar Busters, Carbohydrate Addicts Diet and South Beach. I have all of them and still like Atkins the best. My basic everyday guidelines are this. No bread, no rice, no regular noodles. Try to eat at as many veggies as I can fit in for the day, but when in doubt, just eat protien. I eat a ton of eggs in many different configurations--and yes, my cholesterol is great(181). Potatoes and corn are NOT veggies (either is macaroni and cheese)--they are starches. No eating those. Carrots are best left out until you are all skinny because they are full of natural sugar and very carby. I dont like them anyway so it isnt a problem. Oh, no fruit except berries until you are all skinny either. No lowfat stuff unless it is the same carbs as the full fat. Fat free products are FULL of sugar to make up for the lack of tasty fat. I dont buy low fat anything. I also only buy real butter and only use olive oil. 1.Purge your house. Do not try to do this with a bag of Doritos falling on your head every time you open the pantry. You will so eat that and you know it. Either pitch it or give it away, but get rid of it. I think this diet is extremely healthy and everyone in the house can and does eat this way WHEN THEY ARE AT HOME. We eat out enough and my kids go to grandparent's houses often enough that they can get cakes and fries elsewhere. I cook one dinner and you can take it or leave it. If you are capable of making the rest of the family loaded baked potatoes and sitting there while they eat them, you are a stronger woman than me. I just figure if they want that stuff they can order it at Outback. 2.Keep appropriate food on hand at all times. Stock your fridge and pantry. Cheese sticks, hard boiled eggs, sugar free jello, lunch meat, salad greens, tuna, ranch dressing, etc. Whatever you need...but keep it at the ready. 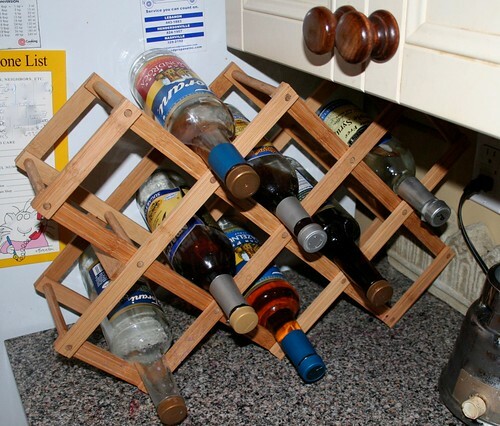 3.Find some recipes you like. They are everywhere. You need the supplies to make an easy dinner if you need to. Precooked meatballs, crockpot roasts, dinner salads with lots of protein. Just have a few options planned out so you dont start eating sandwiches. 4.Dont be hungry-ever. This is not stinking Weight Watchers. If you are hungry, eat something. Just make sure it isnt carby. 5.Read labels. Like, all of them. There is a ridiculous difference in carbs in different brands of food. Spaghetti sauce is a prime example. Leave the kids at home and read labels at the grocery store. 6.Plan for late night snacks and sweet cravings. Pork rinds and dip, deviled eggs, chicken salad...all of the above. More on the sweet stuff later. 7.Get past whatever it is that makes you think you need a starchy food on your table. Dinner is still dinner even if you dont have rice and bread. Hamburgers taste good without buns. Meatballs on a plate covered in sauce and cheese are delicious--noodles are not essential. Chicken parmesan doesnt need a side of pasta. That is just how it is, so deal with it. Stuff your husband full of enough steak and he will forget there is not a baked potato next to it. 8. Do not drink carbs. That is just stupid. Diet drinks only. Water, diet soda, unsweet tea or tea with sweetener. Coke zero and the Pepsi equivalent taste exactly like regular with zero sugar/carbs. There are 39 carbs in one CAN of regular Coke. Honestly, that is just silly. 9.Stop worrying about the fat. If you are truly eating low carb, you can eat fat and no worries. Also, if you eat low fat you dont worry about carbs (in that case you will be too busy being hungry to worry about much but that). You have to pick one or the other though. Eating lots of fat AND lots of carbs is BAD. 10.Eat some fish for heaven's sake. It is good for you. Here is some extra stuff...this is getting stupid long...sorry. 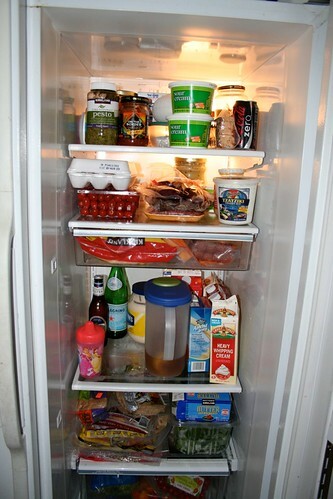 This is our refrigerator. Dont look to close. If you click on the picture it will take you to my photostream that has tags to tell you the contents. TMI I know, but pretty low carb! This is my rack of sugar-free syrups. Good for flavoring coffee, smoothies and homemade low carb baked stuff. Most are Torani (they sell them at World Market) or Davinci (you can find them usually in the food section of Marshalls or TJ MAxx). An online source is here. There is every flavor you can imagine. They sell very basic ones in the coffee section at Walmart --make sure you get the sugar free!! I mentioned meatballs a time or two up there, so these are the ones currently in my freezer. 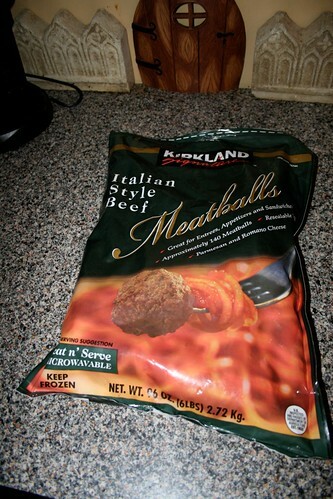 Costco brand and they are 1 carb per meatball. We have them for dinner all the time. Fill a pan with them and pour heavy cream overtop. Put a lid on and cook until they are hot all the way through and the sauce is bubbly. Best Swedish Meatballs ever. 2 ingredients. Cant beat that. Skip the noodles. I dont buy a ton of specialty products, but I always keep these. I have spent soooo much money trying to find protein bars that dont make me want to vomit and I have come up with just these out of all the ones in the universe. That's it. The rest are crap. My sister likes the Smores one but i think they are yucky. These two above are really tasty and curb all candy cravings for me. 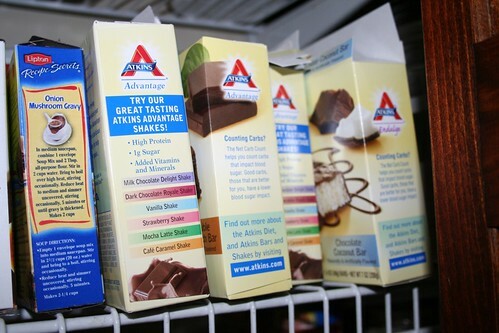 The Atkins Indulge Bars are all good. They are essentially just sugar free candy, but very good. There is a Mounds, a Payday and a Snicker variety...they arent called that, but that is what they are. Walmart has all of these in the pharmacy by the vitamins and those horrible slim fast drinks. 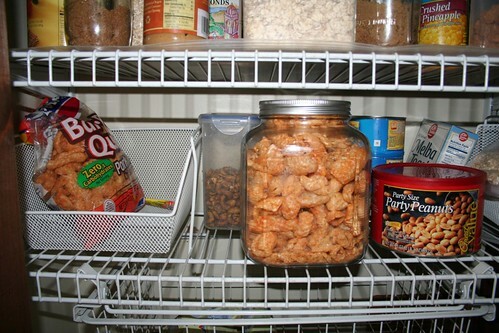 Pork Rinds and party peanuts. Both good for snacking. A little sidebar here...buy the "party peanuts". They have peanuts, oil, salt. If you read the "dry roasted peanut" label ingredients you will be stunned by the crap in there. Again, read labels. Finally (you thought it would never end, didnt you? ), Pasta. Here is your only option that doesnt taste nasty. Try as I might, I think wheat pasta is pasty and ick. This is Dreamfields Pasta. 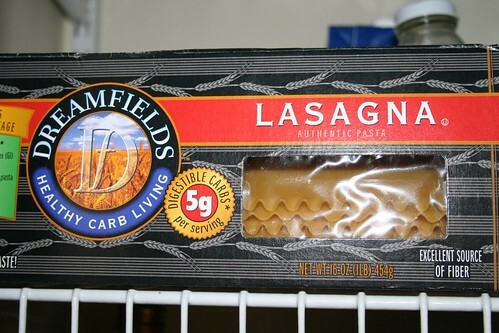 It is 5 carbs per serving and comes in Lasagna (shown here), spaghetti, elbows and ziti. I have served it to many, many people that had no idea. Why does it have so few carbs? I dont know...something to do with high protien flour or fiber or something. Dont ask me, but it is good so eat it. They sell this locally at Kroger with all the other pasta and you can also order it online. I thought I would leave you with one recipe. That is a very hard choice because there are so many great ones. I guess I will give you this since it can be breakfast, lunch or dinner. It is great leftover and you could eat it for breakfast all week. Preheat oven to 350. Spray pie pan with cooking spray. Mix eggs, cream, salt and pepper in a mixing bowl until well combined. Spread meat out evenly in bottom of pie pan. Place veggies over meat and then completely cover in cheese. Press it down in the pan tightly. Pour egg mixture over the top and let it sink in. Bake for 40 minutes or until top is browned and it is firm. Let rest 15 minutes before serving. Very open to interpretation and very good. Hey made the Swedish meatballs for lunch! Excellent! I'm getting into your blog...some good stuff...thanks!